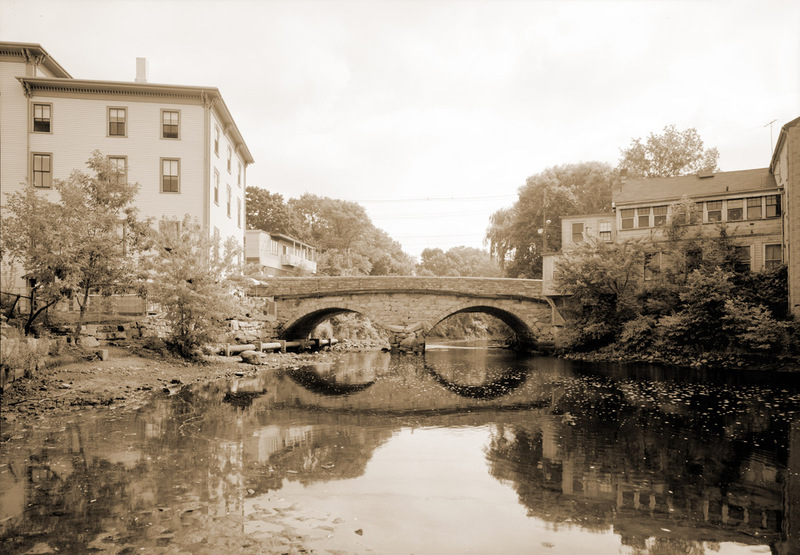 Follow the Ipswich River, starting at the Willowdale Dam and continuing past all four stone arch bridges in Ipswich, then along Water Street to the Town Wharf and out to sea. 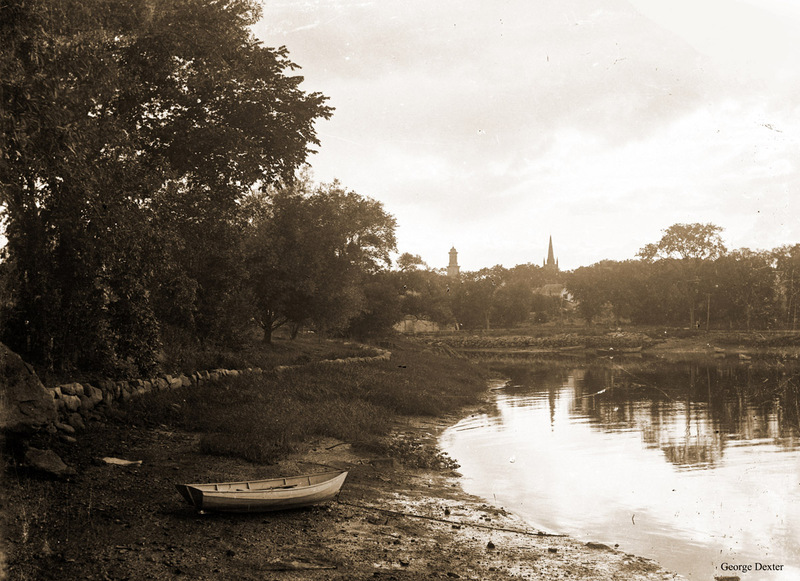 Many of these photos were digitally developed from original glass negatives taken by three early Ipswich photographers, and others generously shared from private collections and the Ipswich Museum . 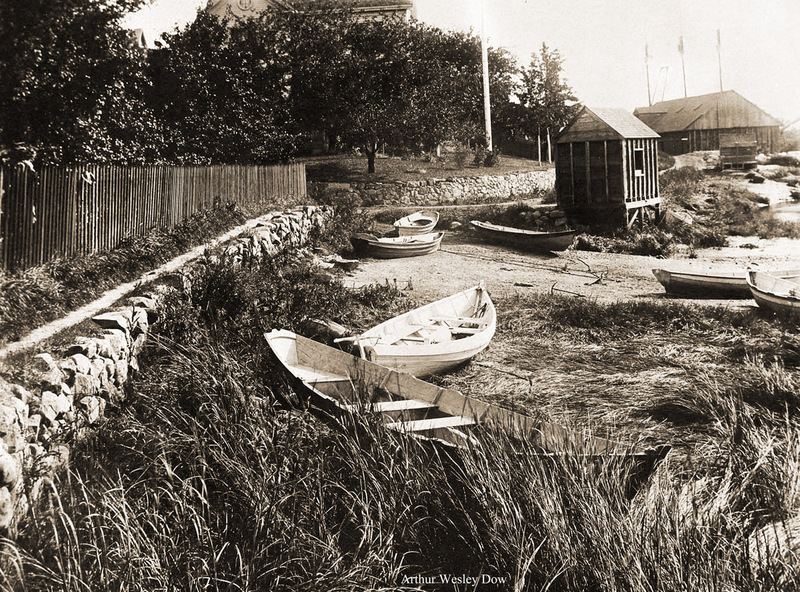 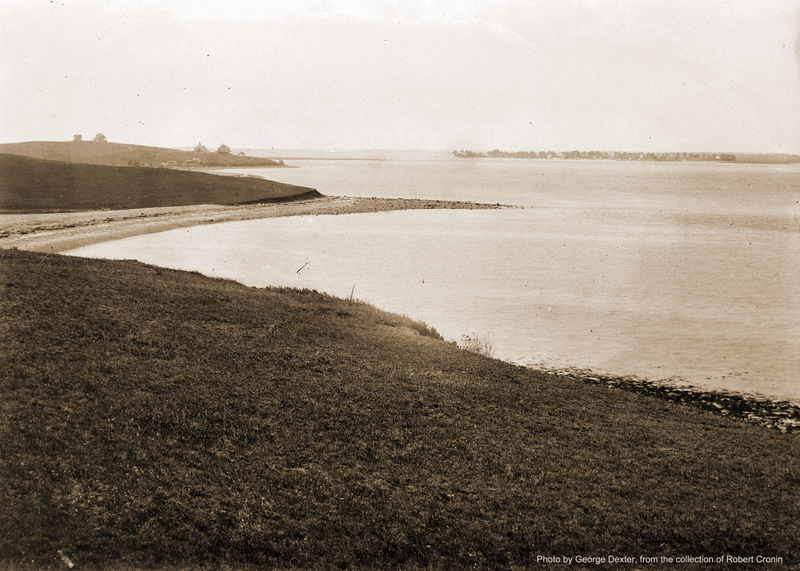 Arthur Wesley Dow, the famous Ipswich artist who operated a summer art school at the Howard House on Turkey Shore Rd. 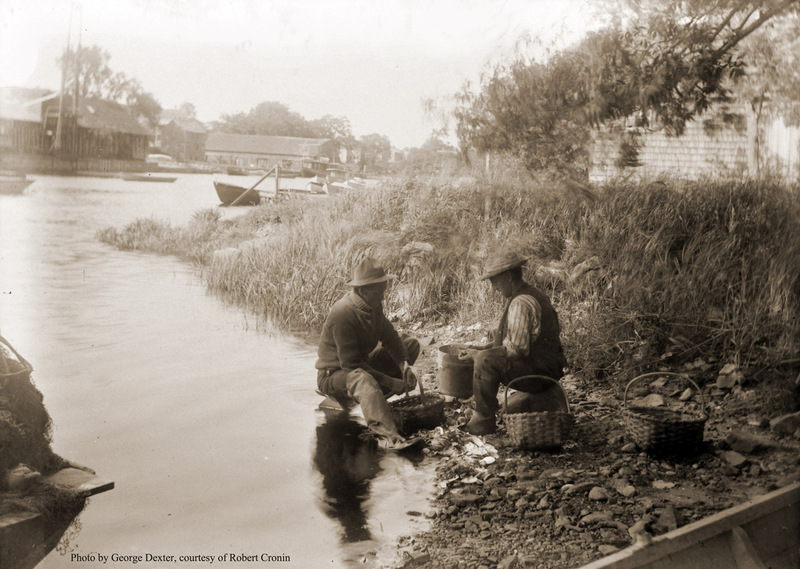 Dow and George Dexter were friends and were photography enthusiasts. 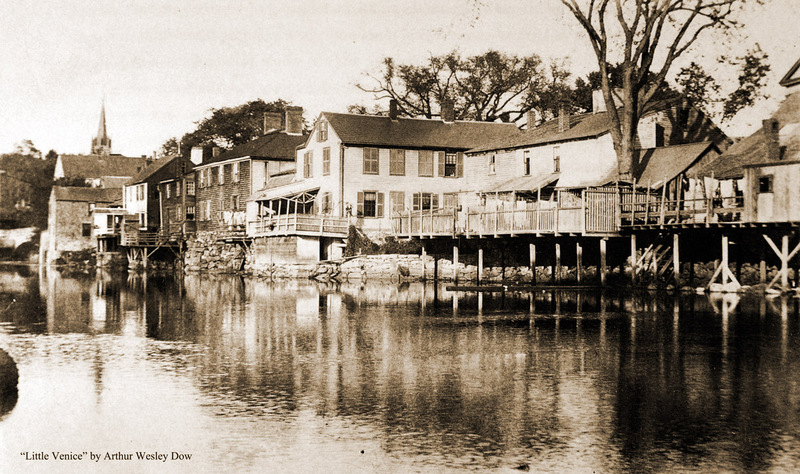 George Dexter, early Ipswich photographer. 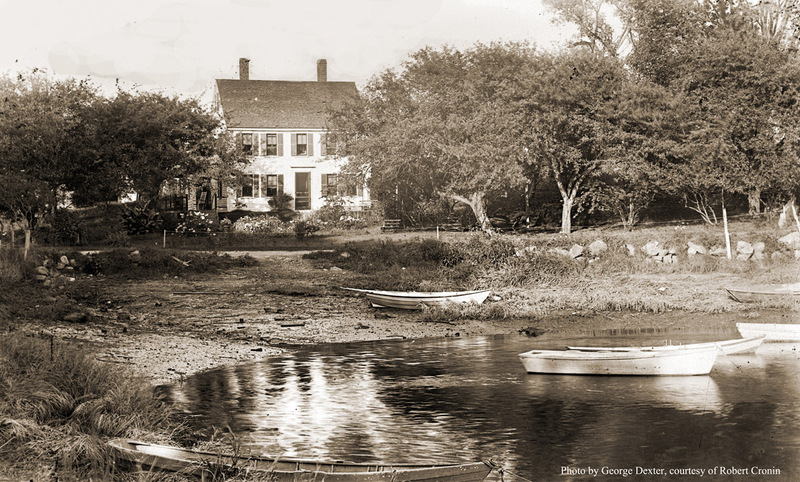 These glass plate negatives are from the collection of Robert Cronin, Ipswich native. 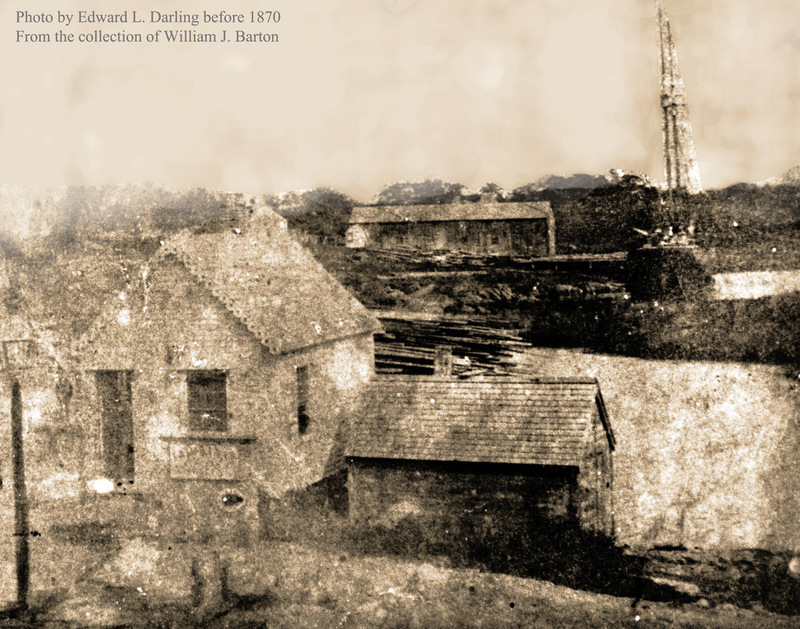 Dexter left his collection of glass plates in the barn owned by Cronin’s father. 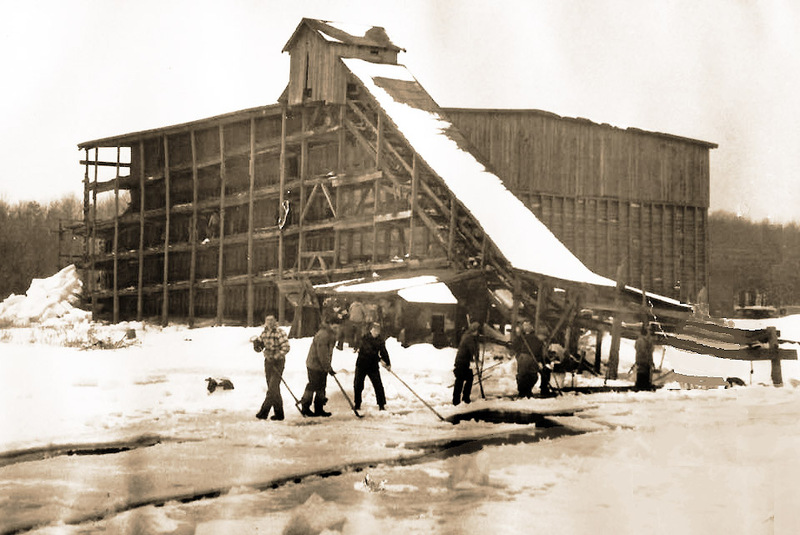 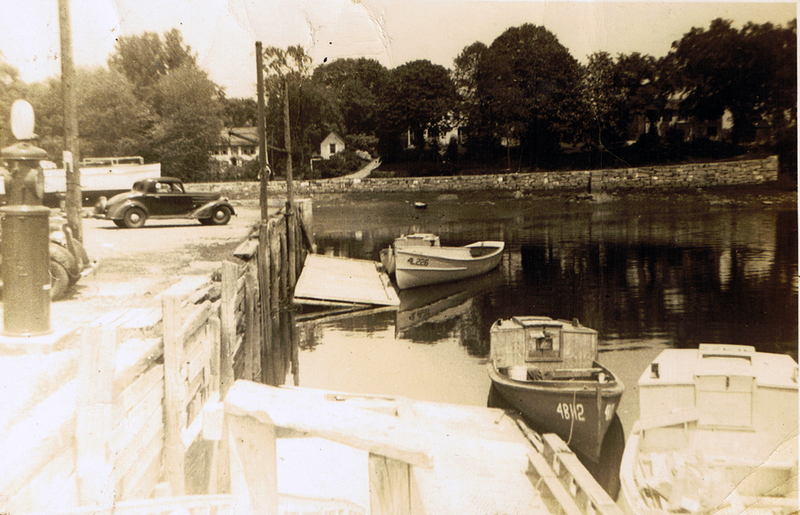 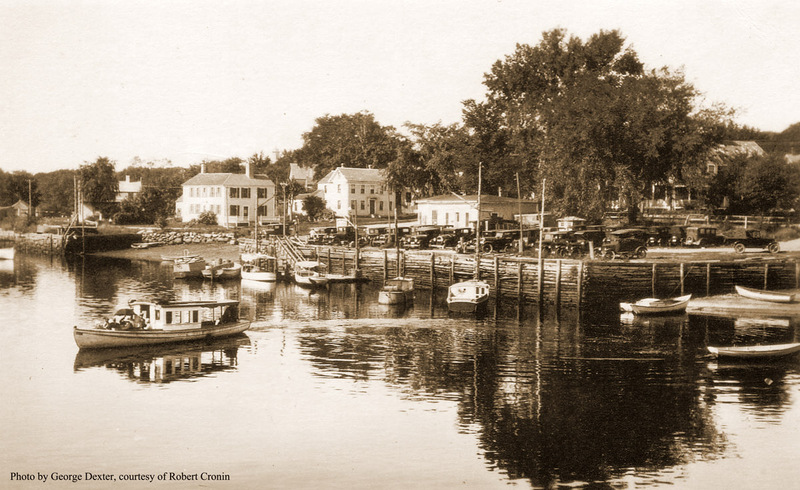 Robert wrote about working at his father’s store on the wharf. 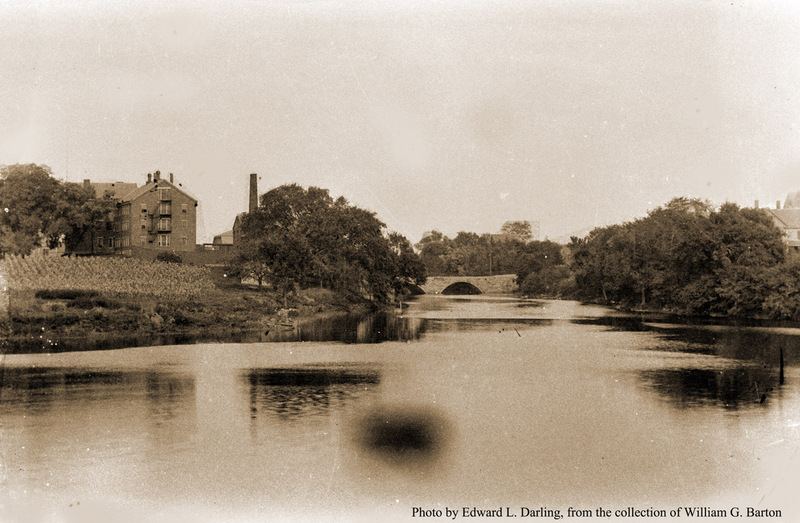 Edward L. Darling, glass plate negatives courtesy of Bill Barton, from the collection of Bill’s late grandfather William J. Barton. 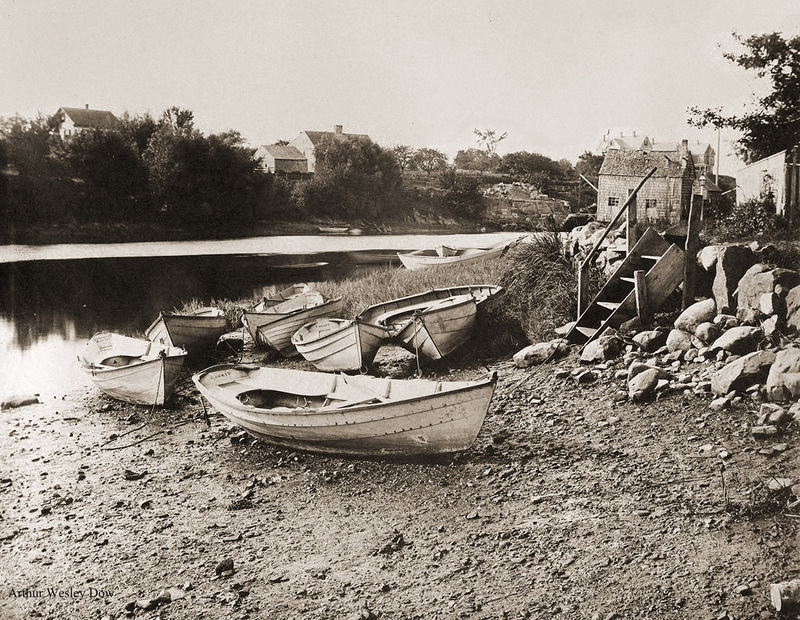 In the 1960’s, William J. Barton wrote his memories of these locations on the back of his framed collection of Darling photographs. 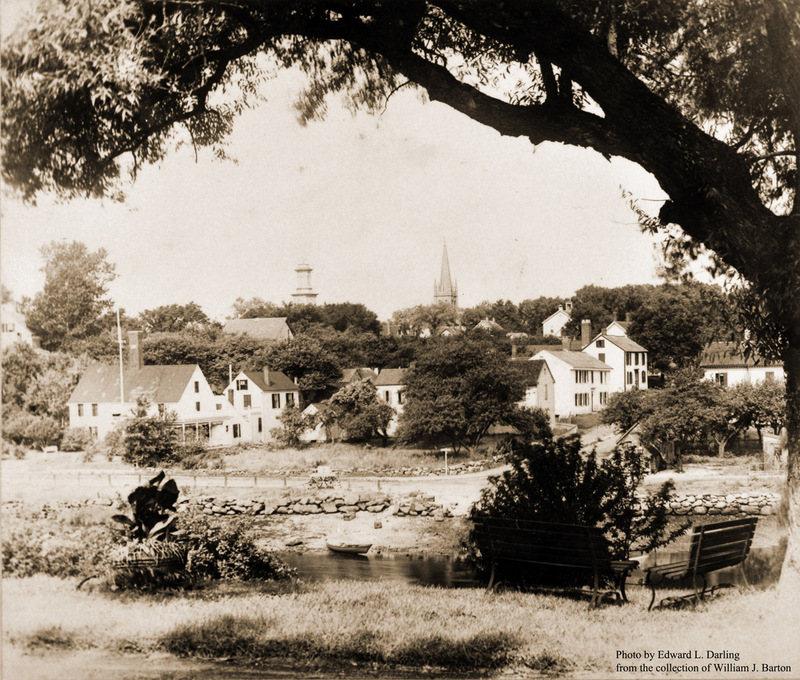 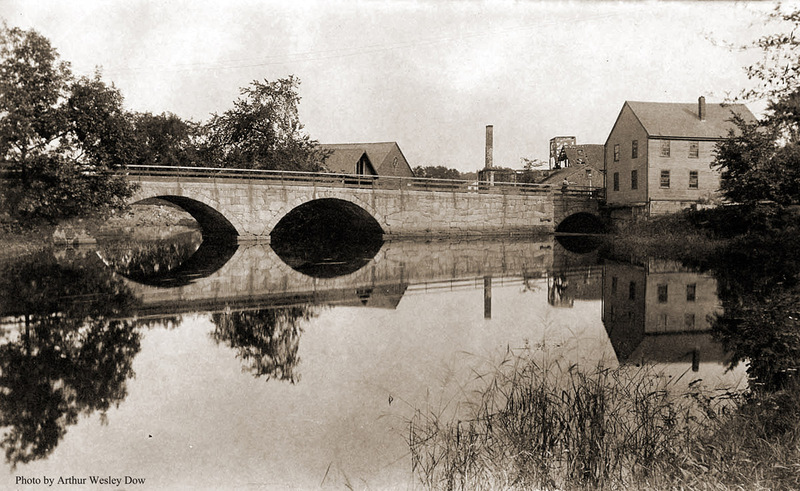 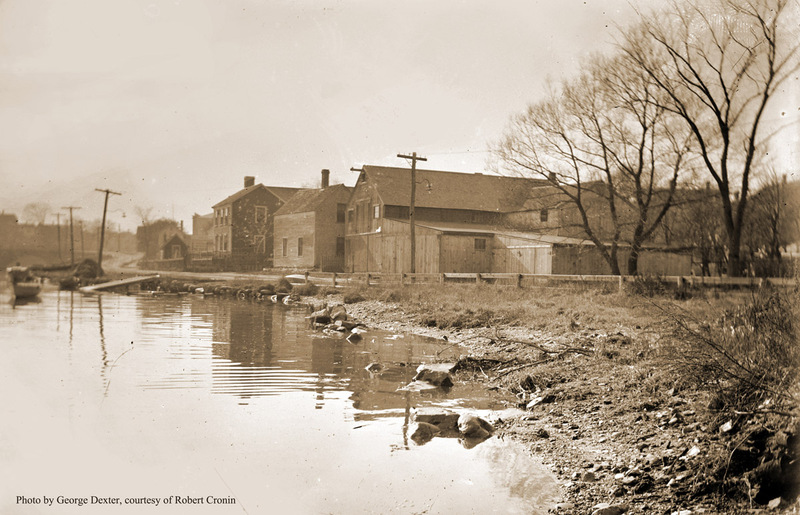 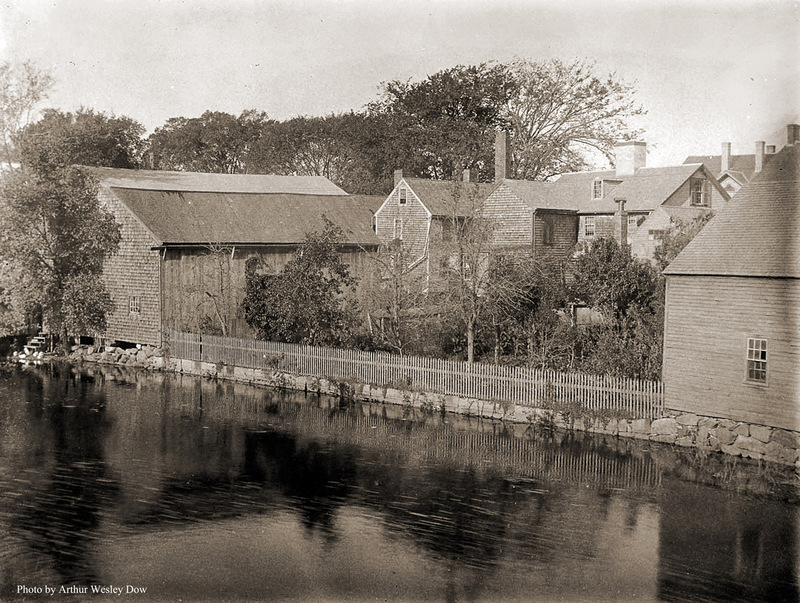 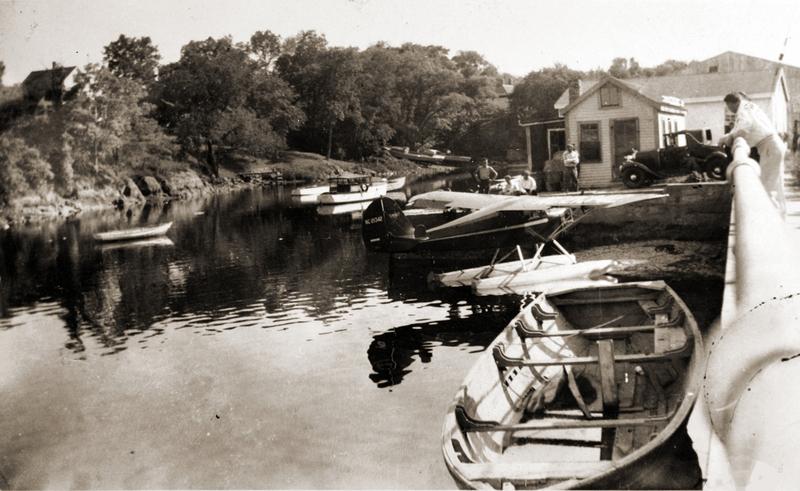 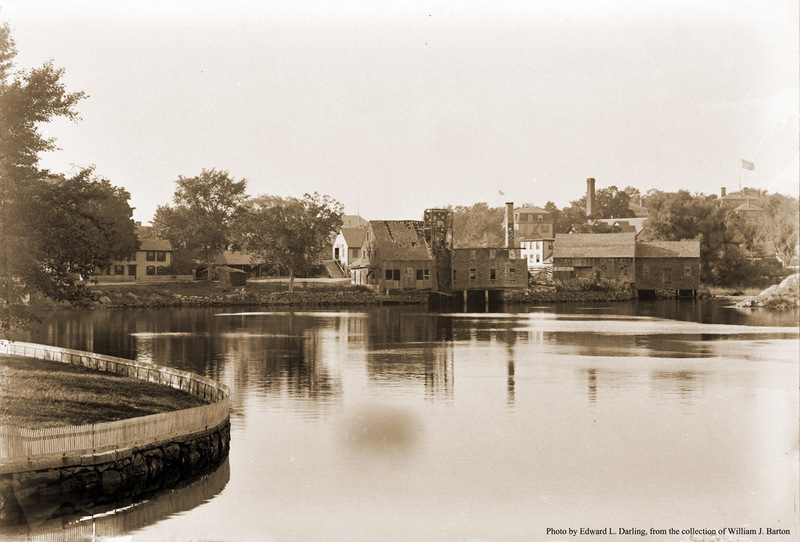 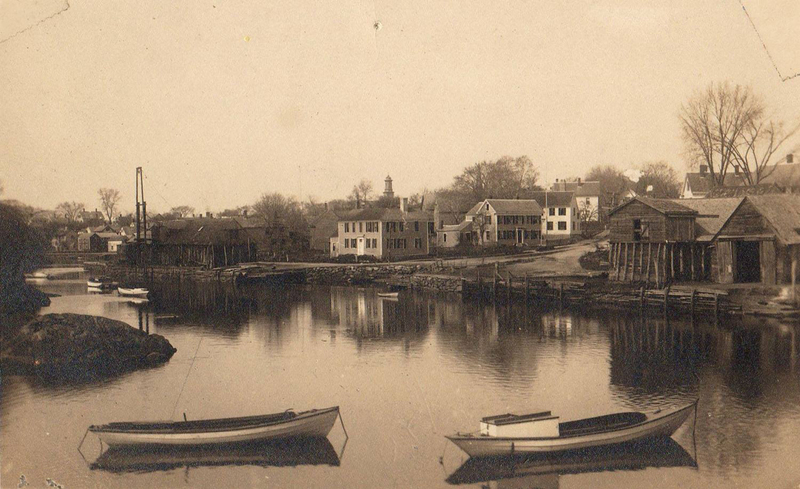 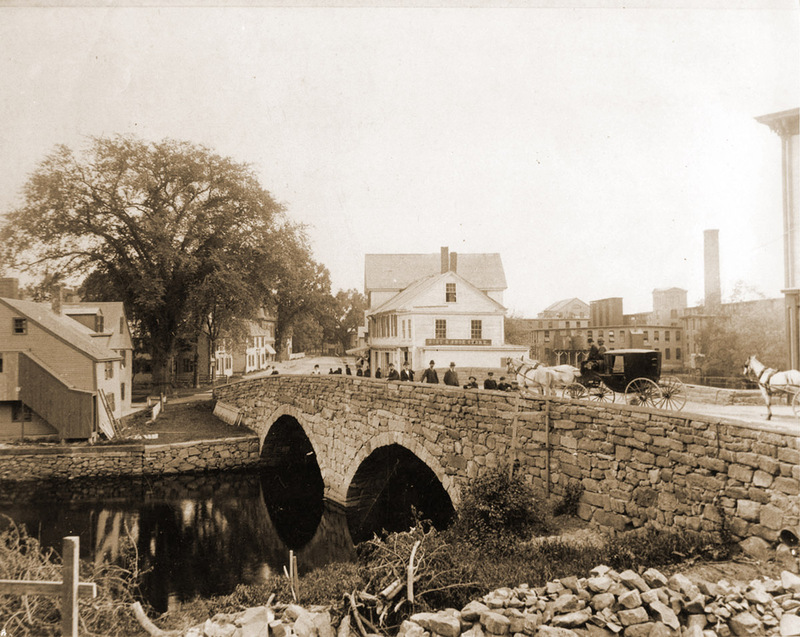 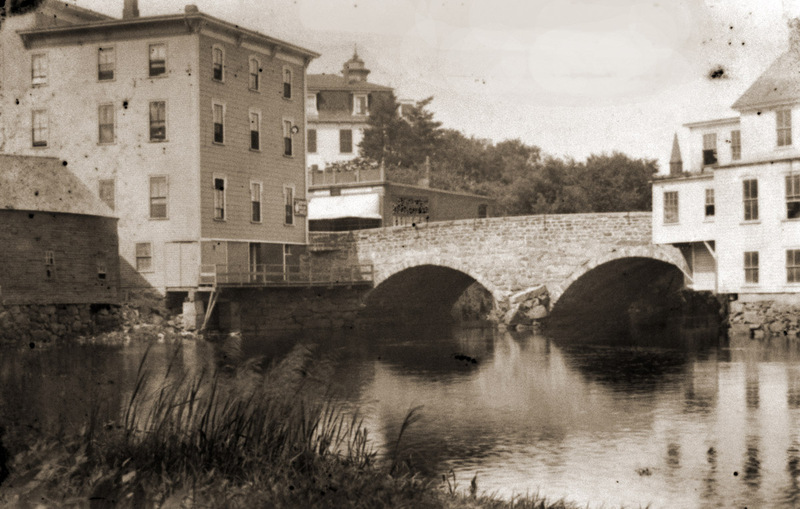 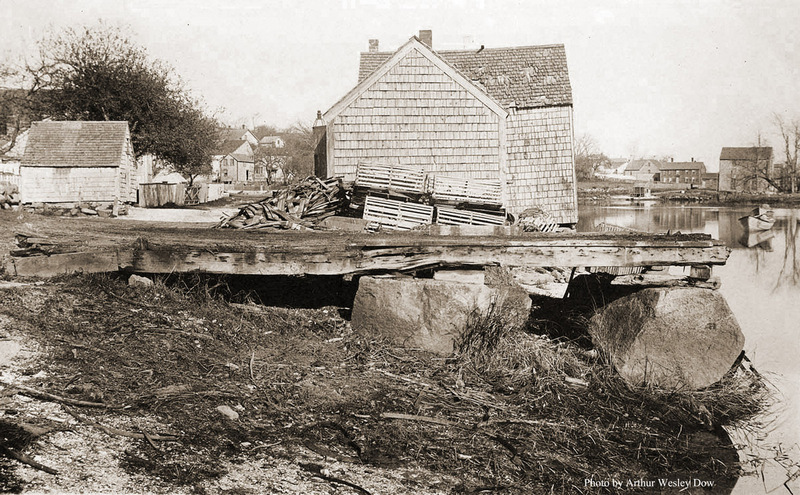 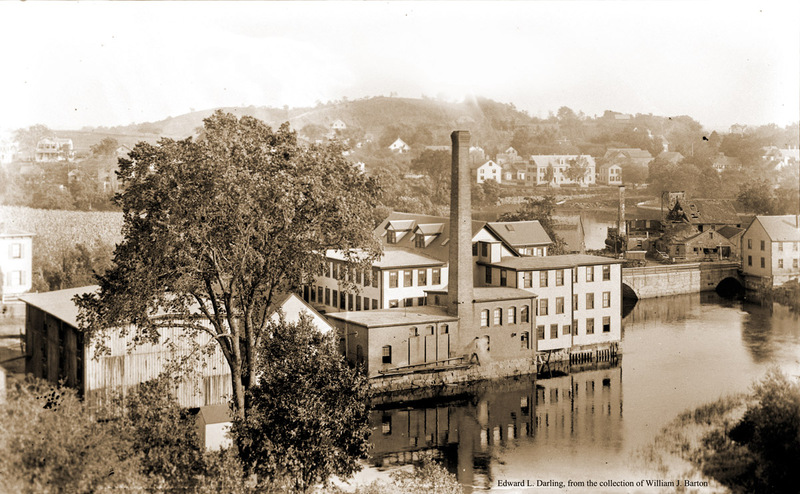 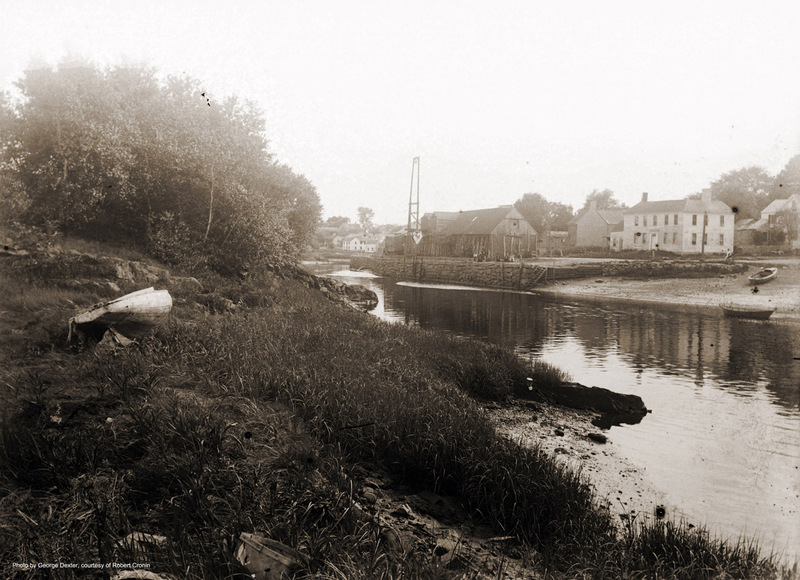 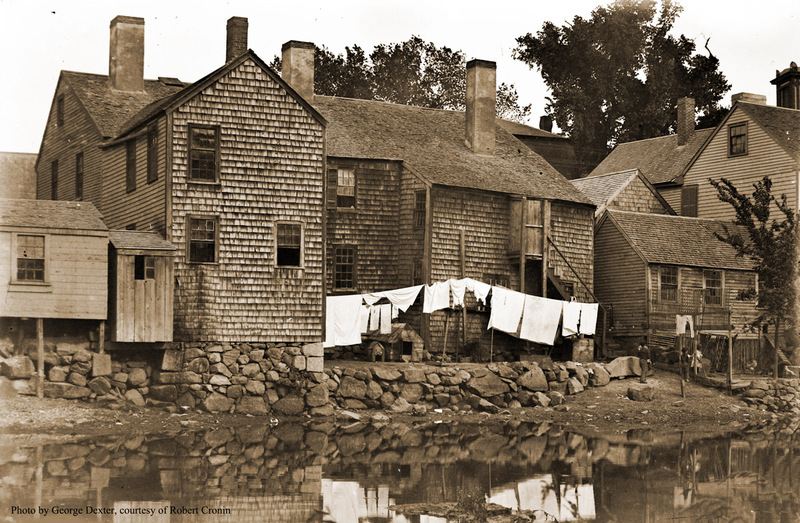 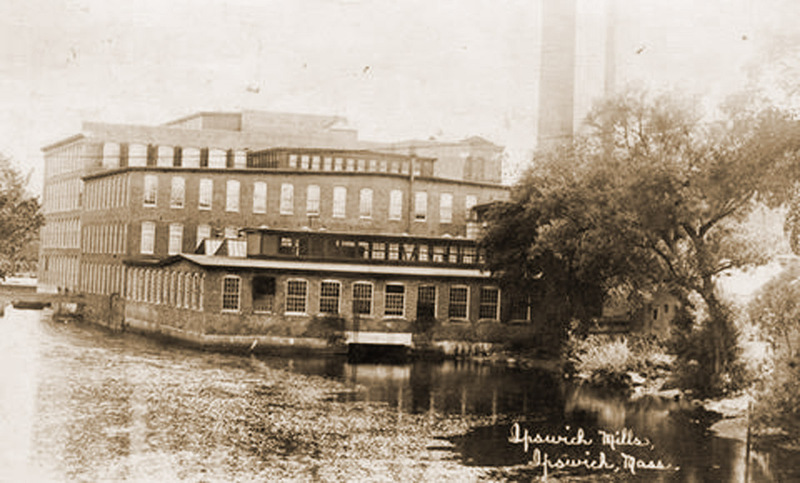 View more photos and additional information at The Industrial History of the Ipswich River, produced by Alan Pearsall and John Stump. 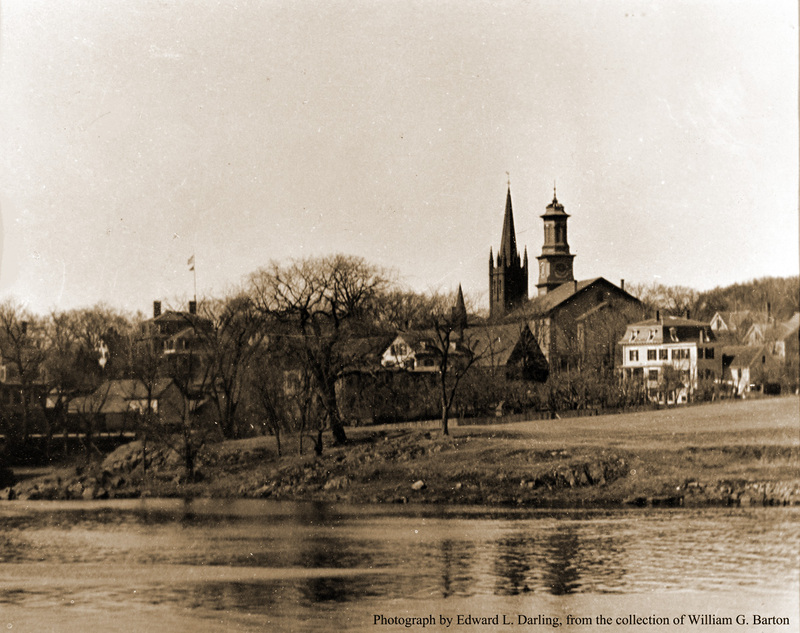 Clicking on a photo opens a slideshow. 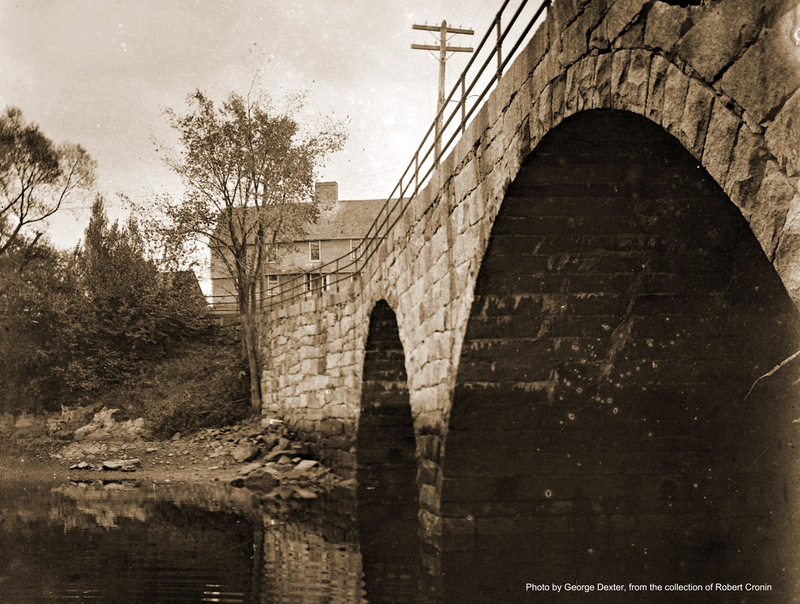 Exit the slideshow by clicking on the small X in the upper left corner. 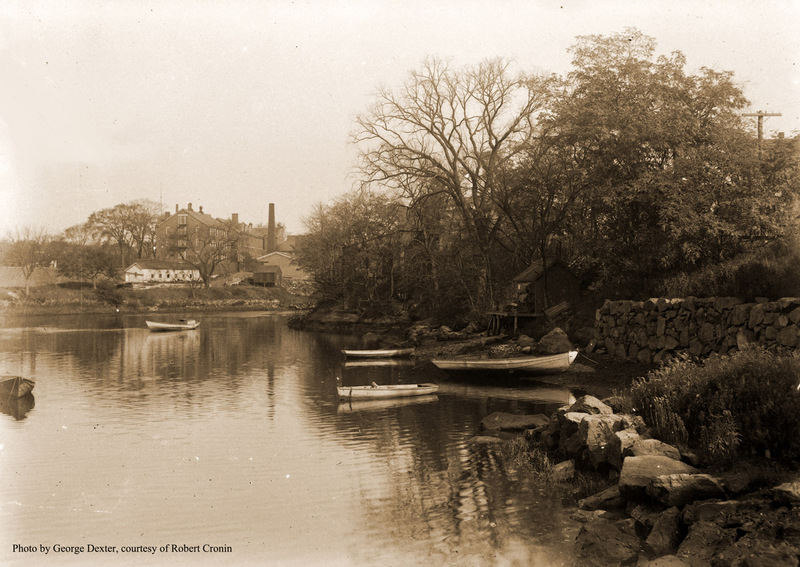 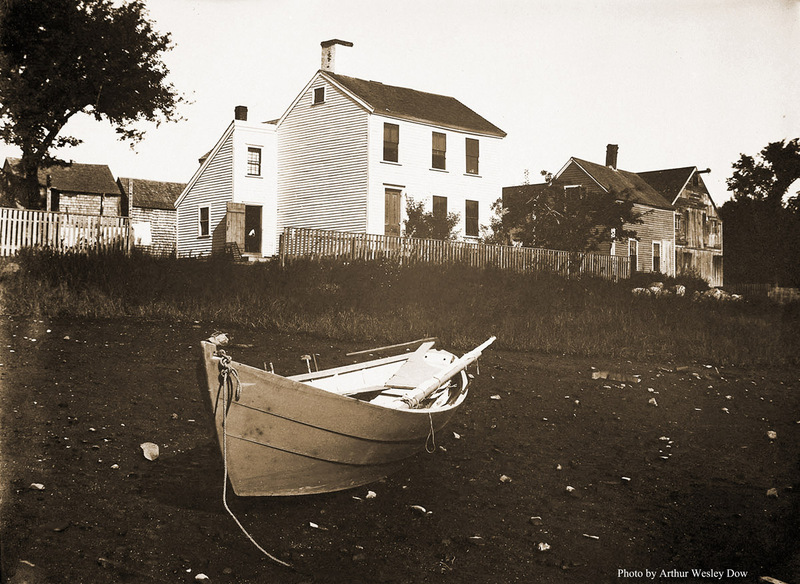 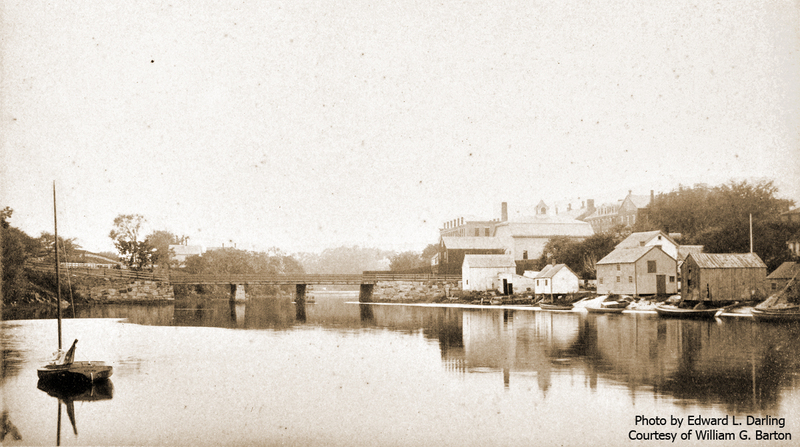 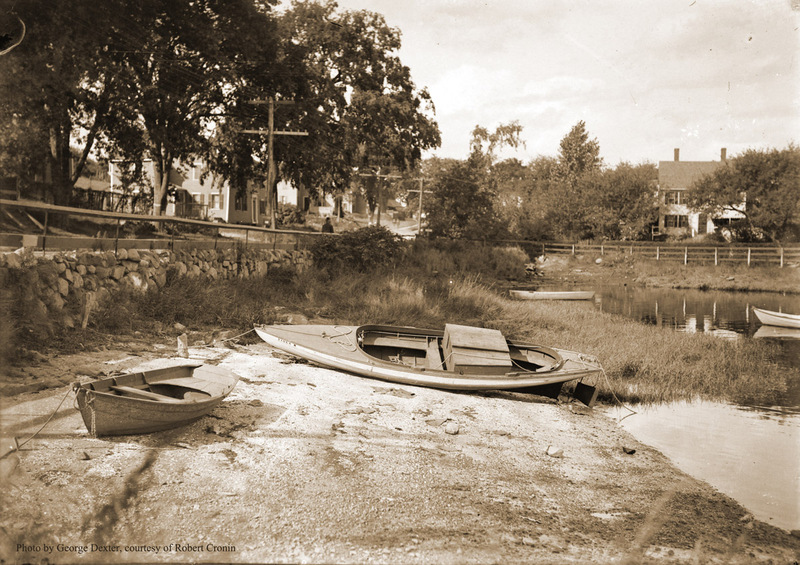 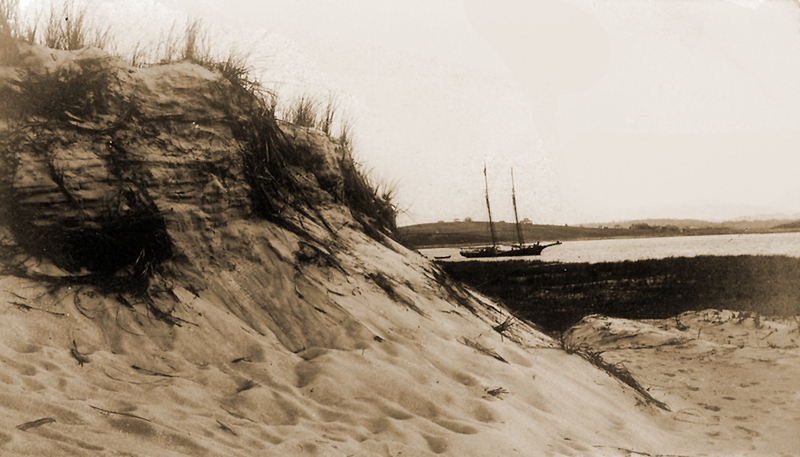 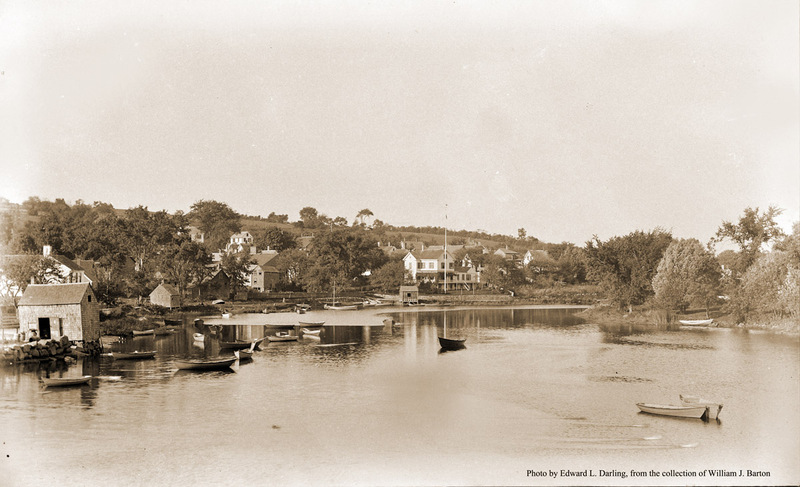 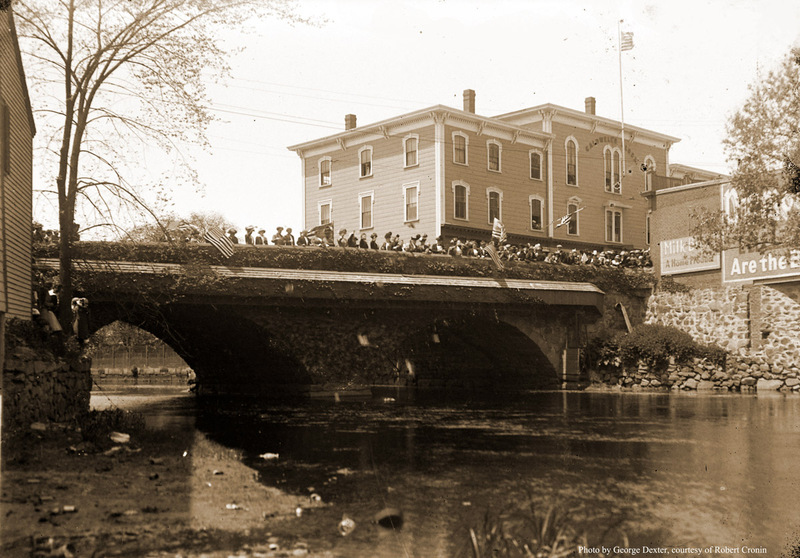 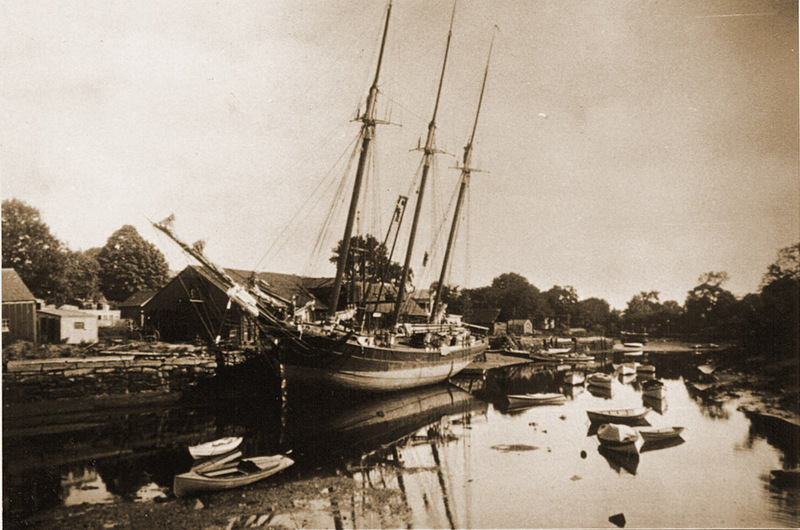 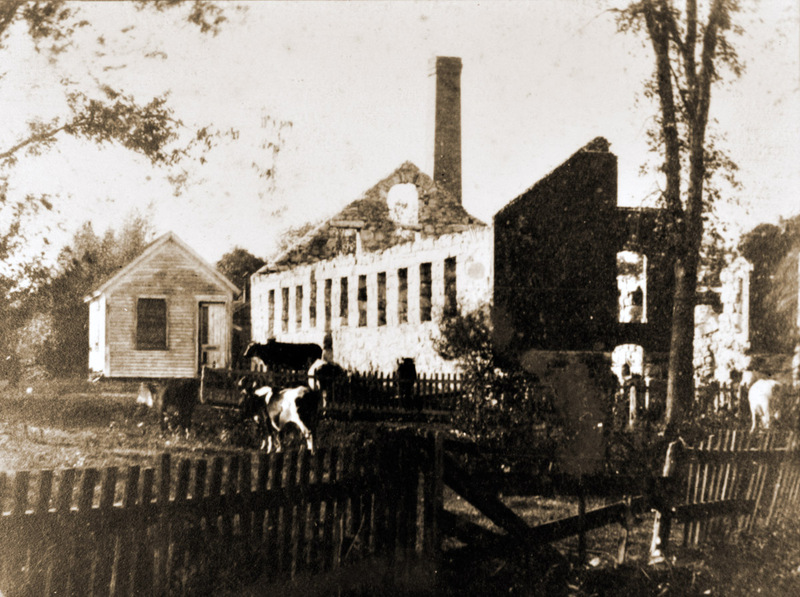 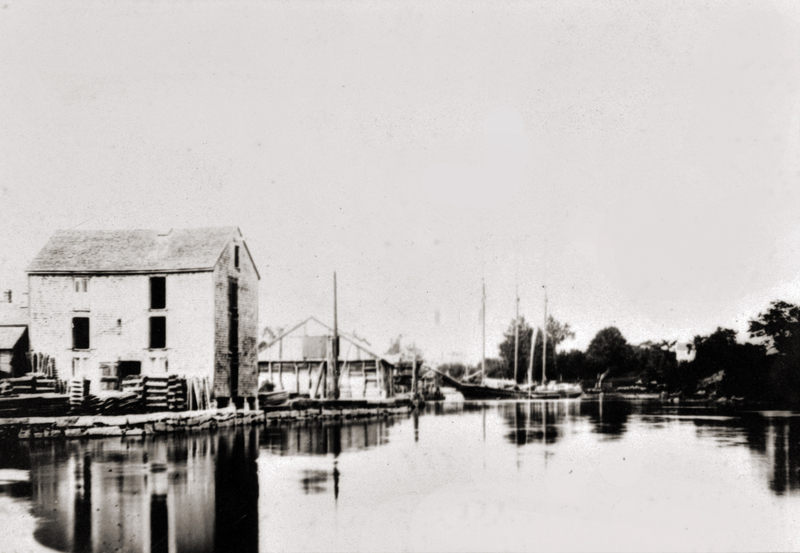 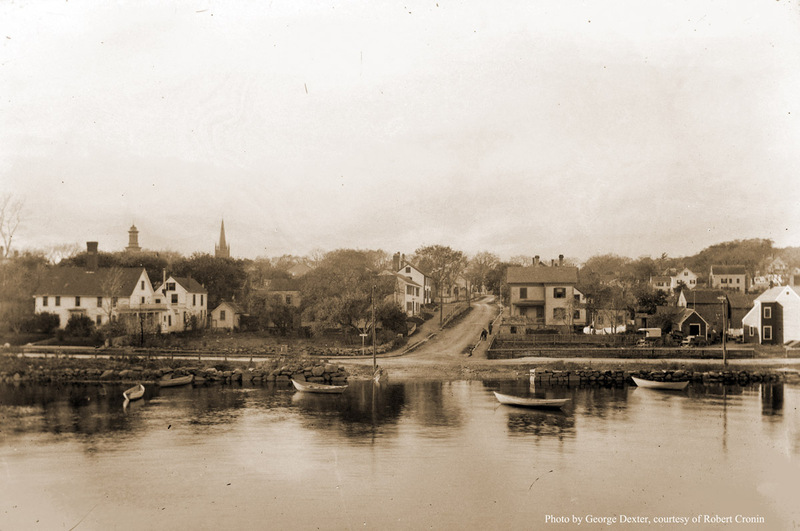 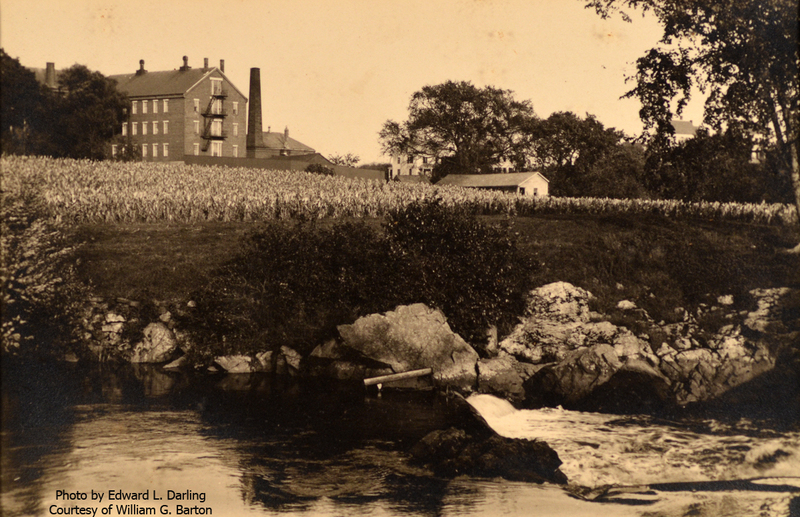 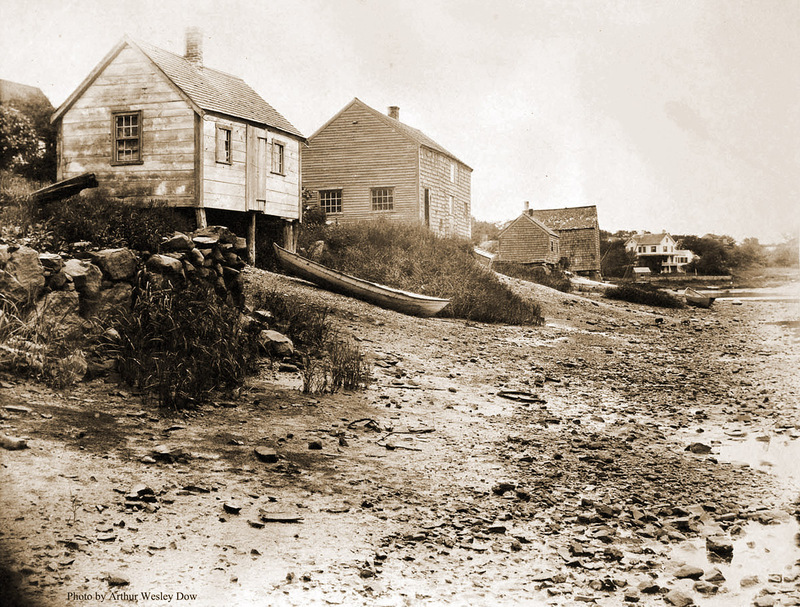 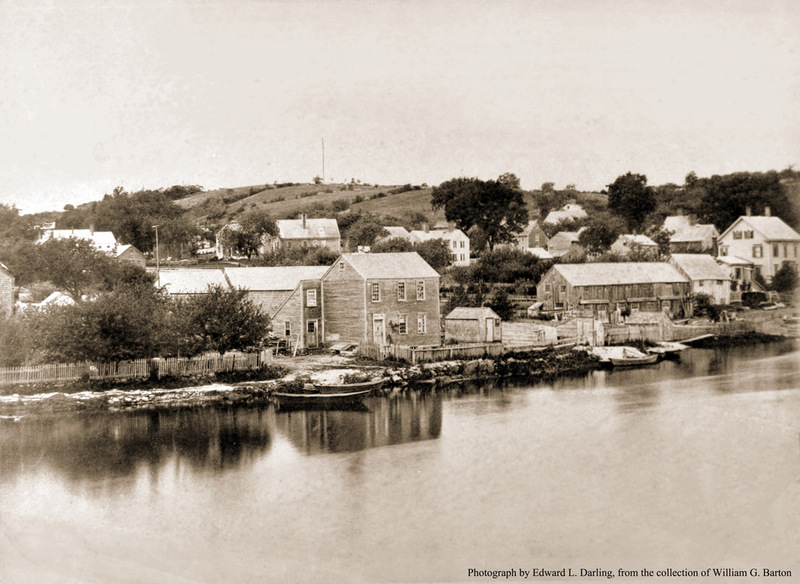 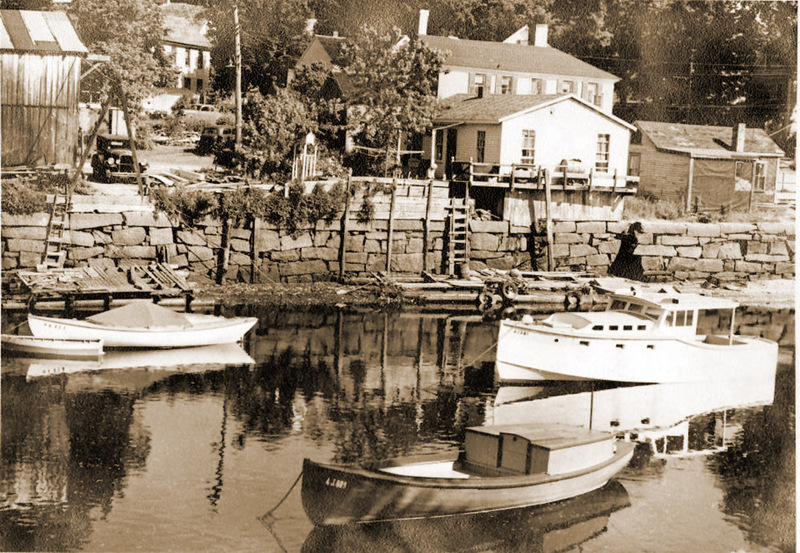 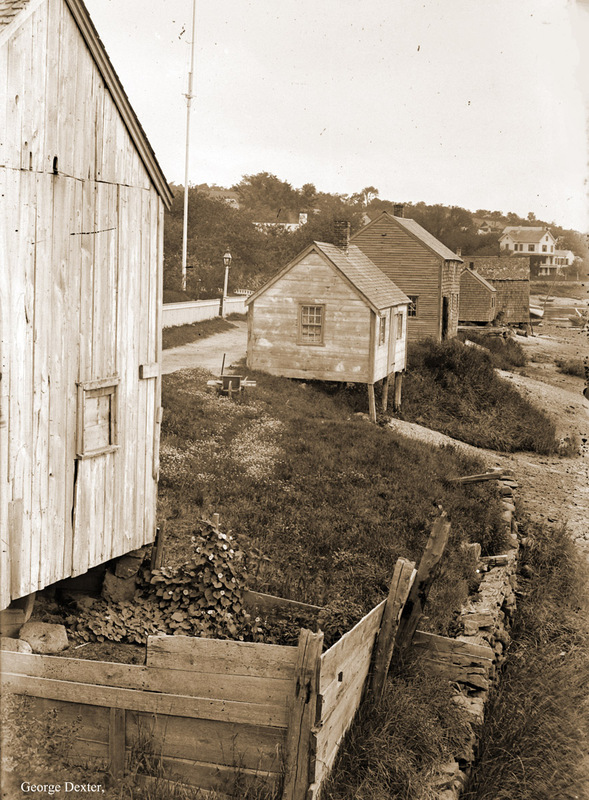 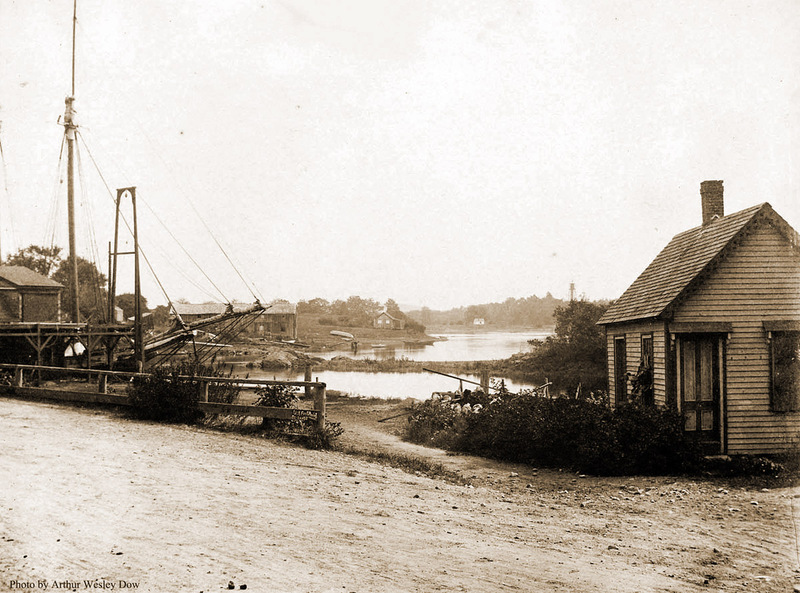 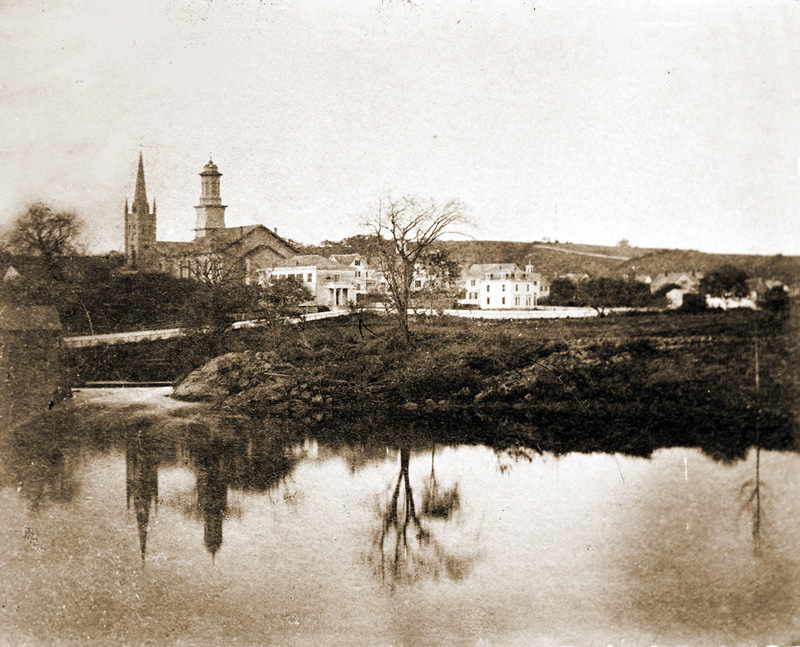 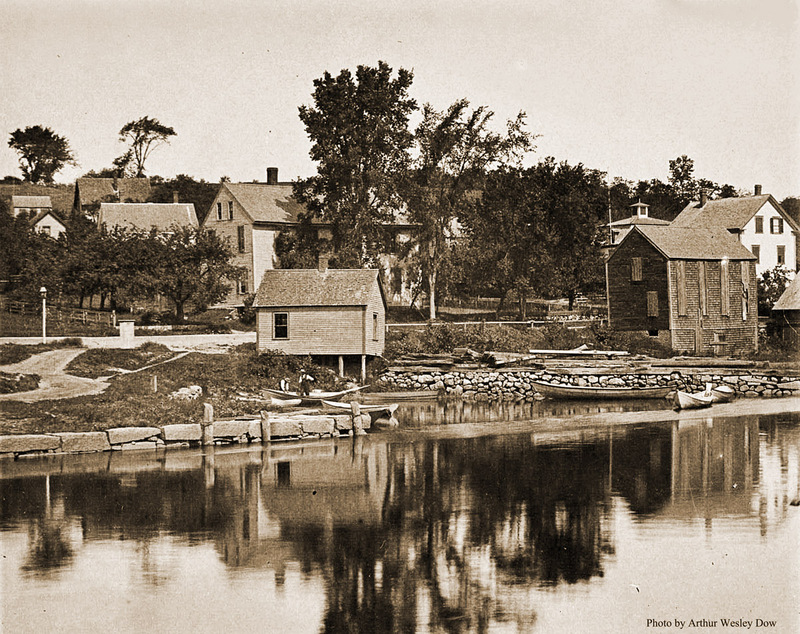 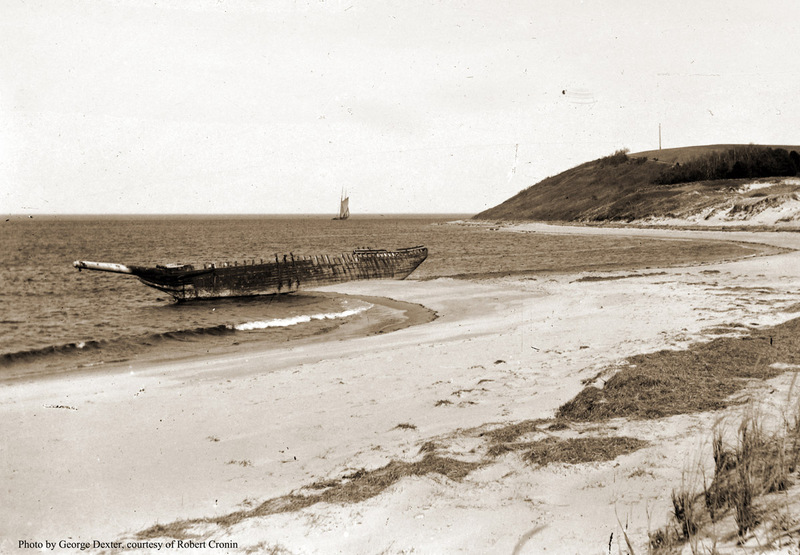 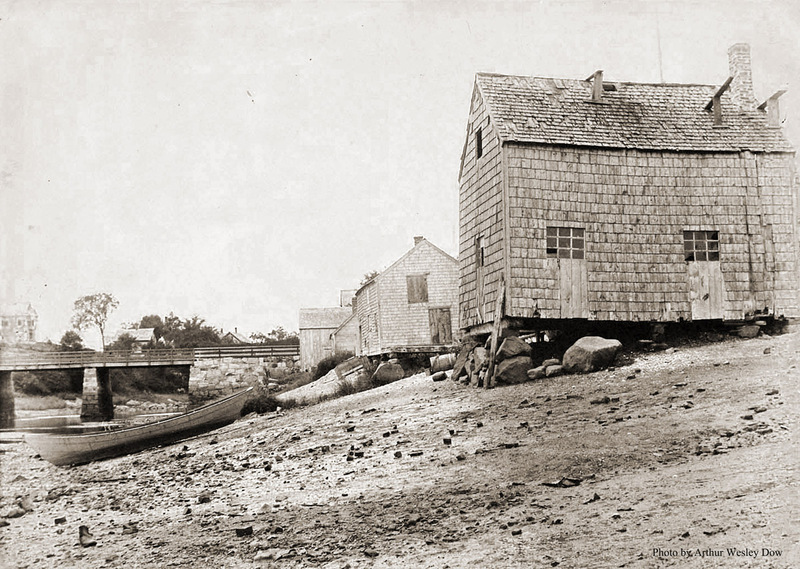 William J. Barton wrote, “From Brown’s Wharf, the steamer Carlotta, a local steamboat owned by Nathaniel Burnham and Charles W. Brown sailed daily and carried passengers on the Ipswich River and Parker River. 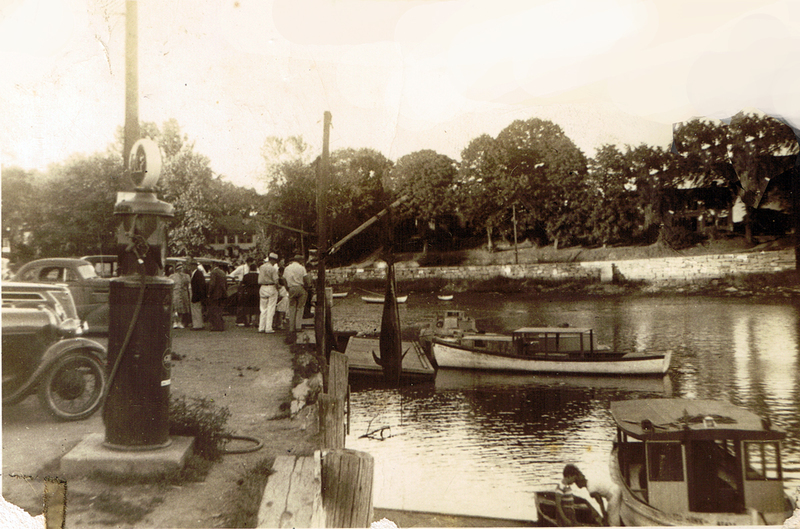 The Carlotta also was used as a tug boat for towing vessels up and down the river. 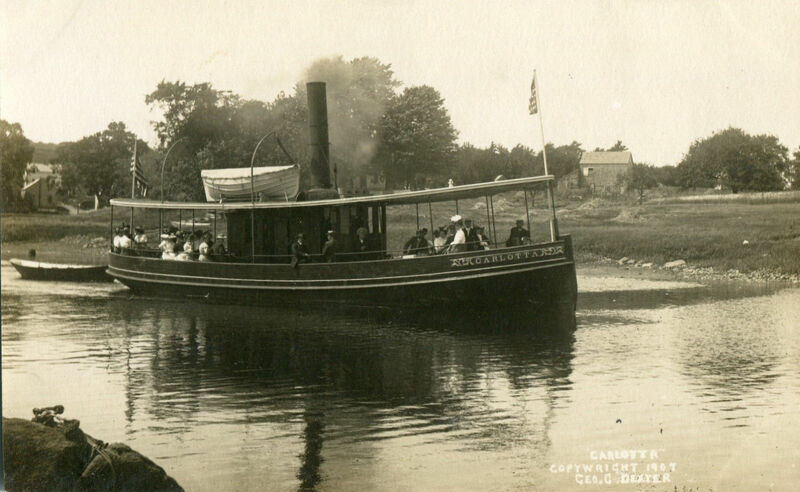 The Carlotta carried 200 passengers with Captain Burnham as captain, plus an engineer and deck hand. 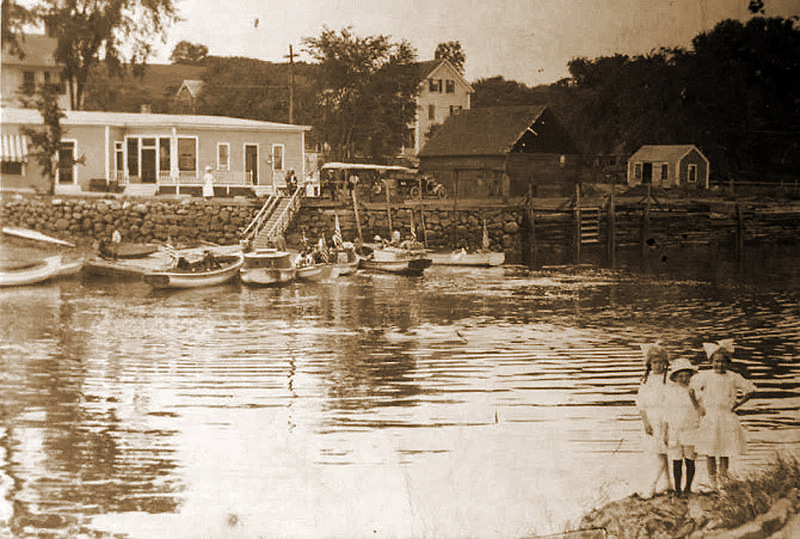 Her stops on the daily trip were at Little Neck for 10 cents. 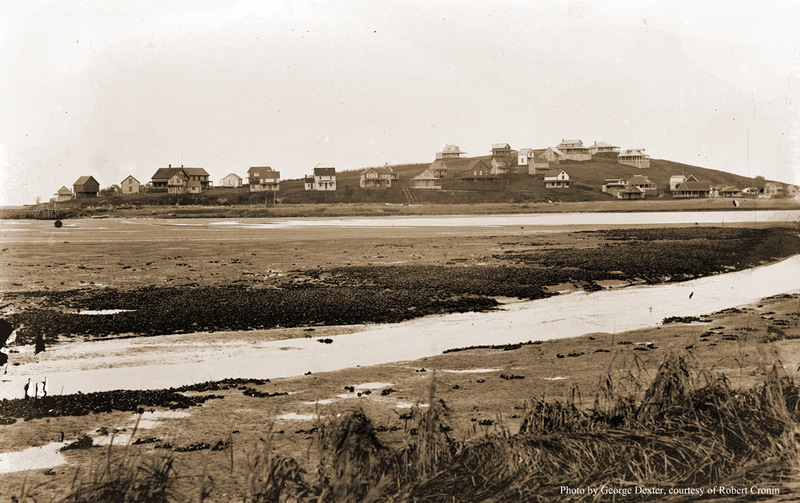 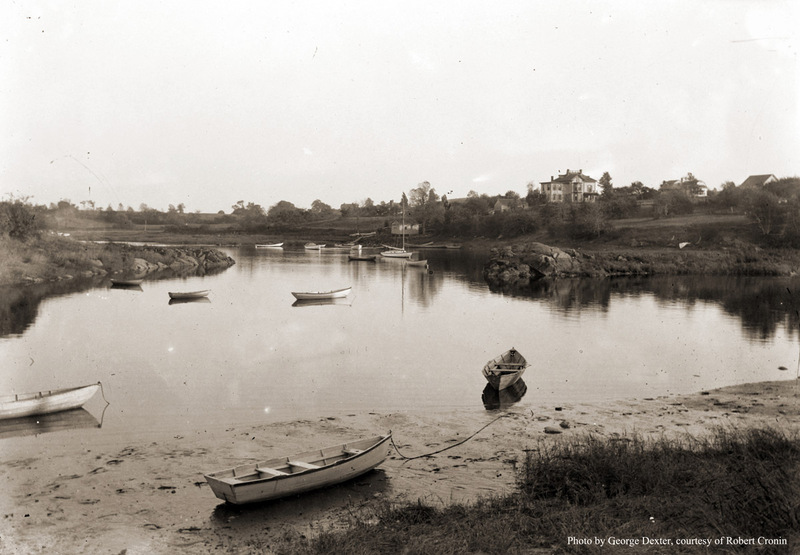 The Ipswich Bluffs, 15 cents, Grape Island 20 cents, and the complete round trip to the Parker River at Newbury for 40 cents. 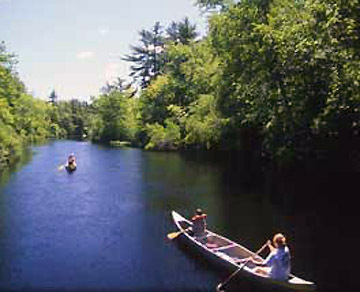 It was very pleasant, about 12 miles. 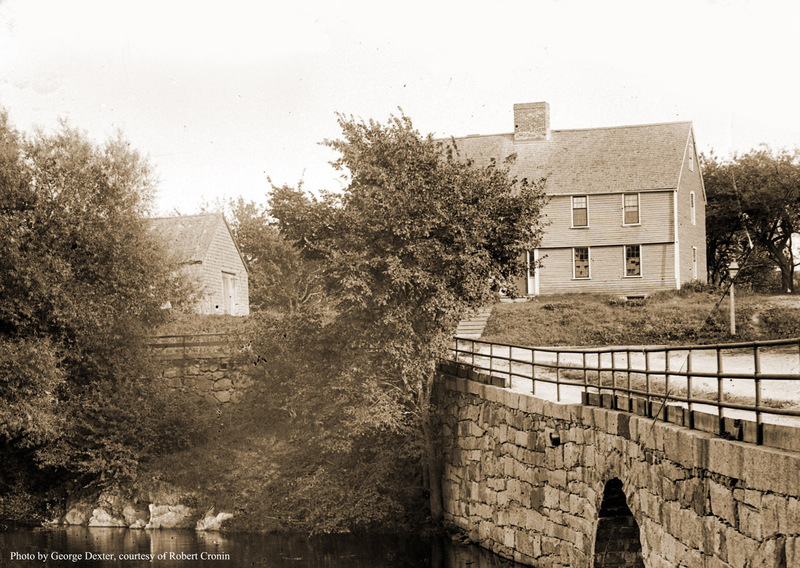 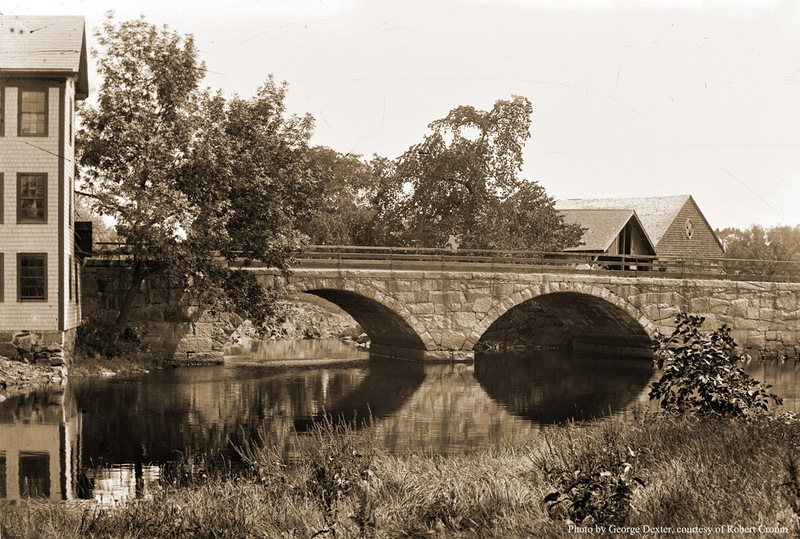 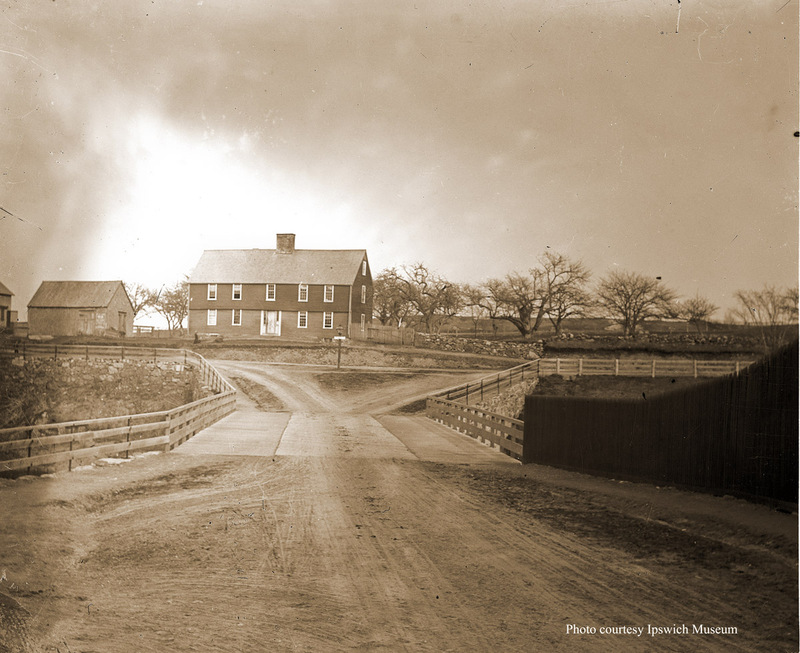 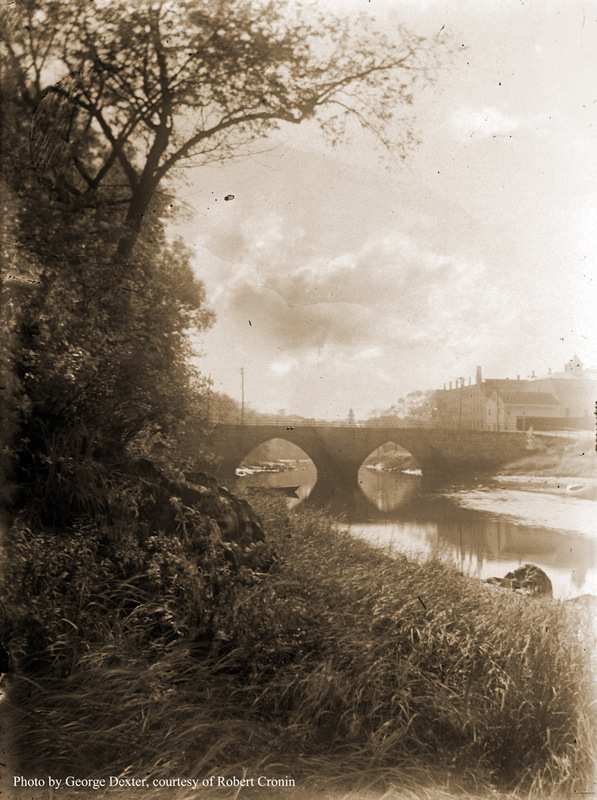 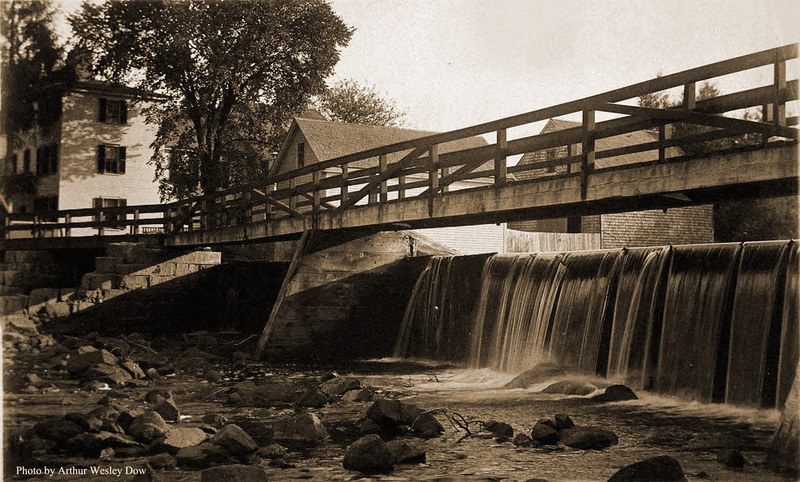 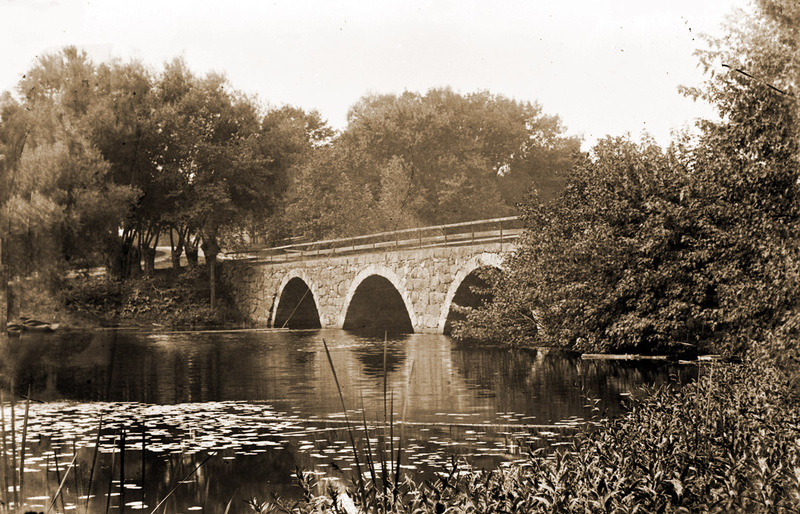 Lovely pictures – especially of Choate and Country Street arched bridges. 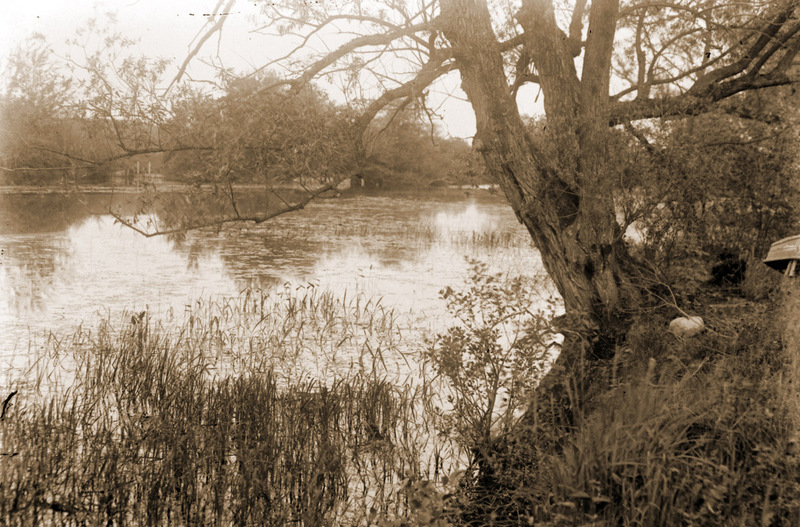 Delightful reminiscences. 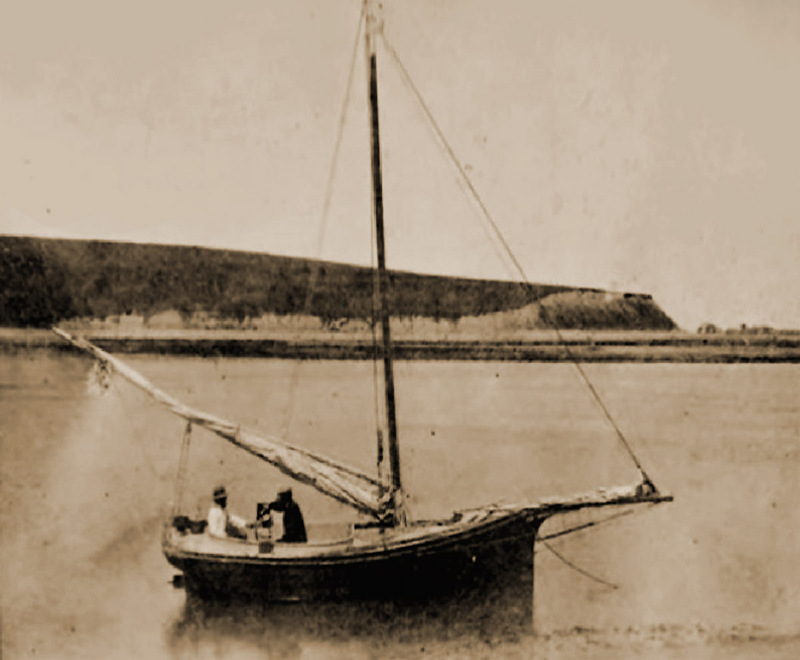 Re the steamer Charlotta – “It was always high tide at eleven o’clock on a full moon, so they would start the return trip home. 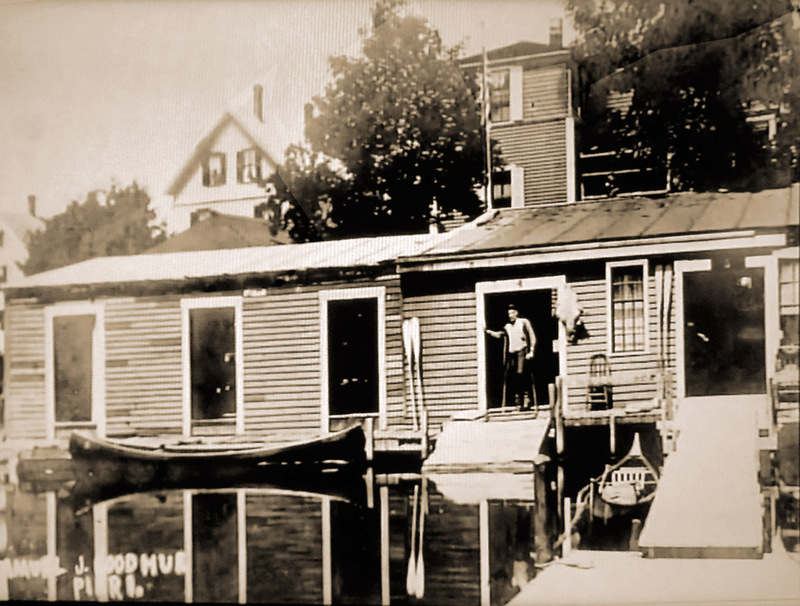 There was no music on the return trip. 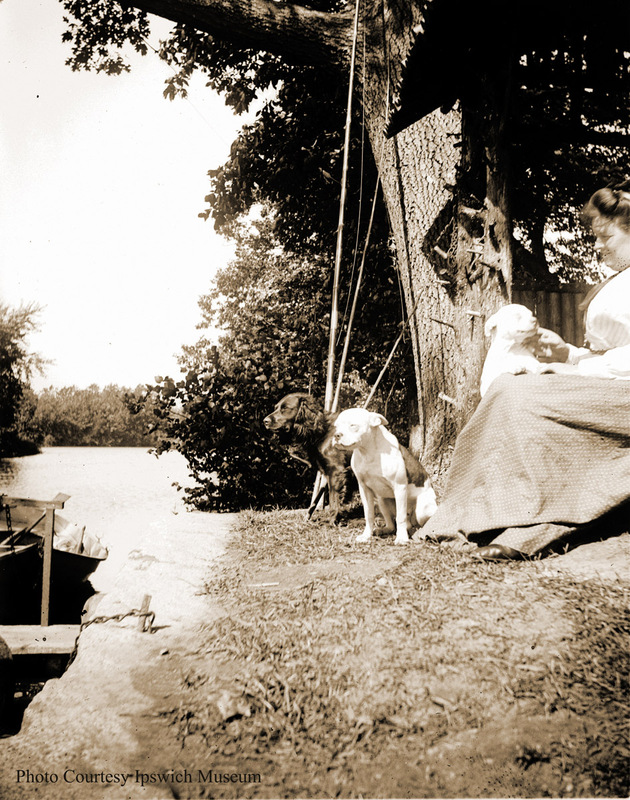 Every one would cuddle up to someone on the steamer as it was cold in the early morning, and enjoy the full moon. 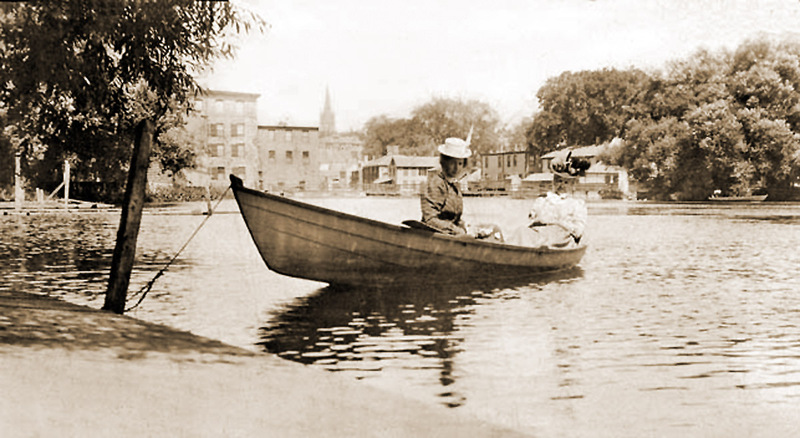 After all, that was what this excursion was run for.” Sounds wonderful. 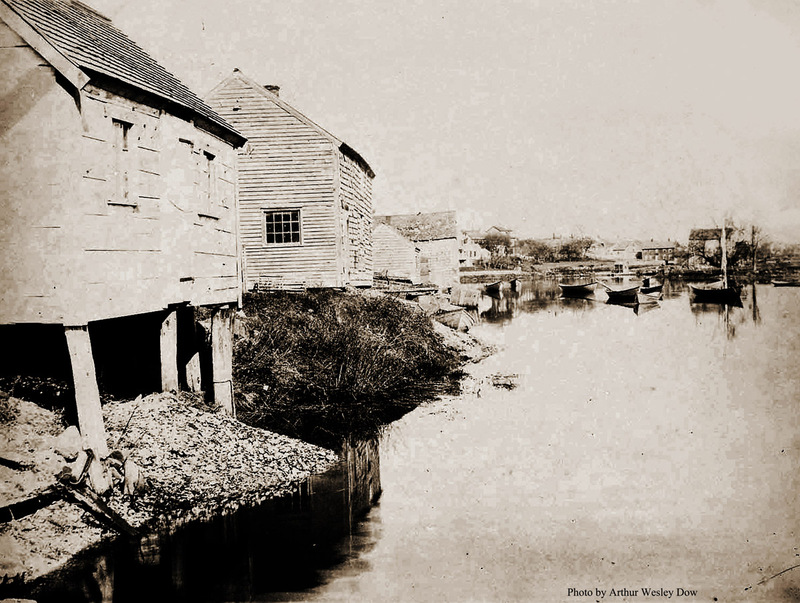 Ipswich has such an interesting topography which these old photos really capture. Thank you!